Chalkin Volatility was developed by Marc Chaikin. It is a volatility indicator which calculates the Exponential Moving Average of the difference between the current interval’s high and low prices and its value a number of periods previously. A sudden increase indicates a directional move and over time the current and historical Exponential Moving Average tend to align which results in the Chaikin Volatility indicator tending towards zero. The indicator fluctuates around zero, with high values indicating that prices are changing sharply compared to the recent past, whilst low values indicate that prices are stable and staying relatively constant. The default parameters used to calculate Chaikin's Volatility indicator are 10 periods for the Exponential Moving Average time frame and 10 for the number of data periods used to calculate the percent change i.e. the “rate of change” period (ROC). Increasing the number of periods decreases the sensitivity of the indicator, whilst decreasing the number of periods increases the sensitivity, generating more signals. Price breakouts are usually associated with a sudden increase in volatility when the indicator is trading near zero. Price reversals tend to be associated with the indicator being extended and then returning to zero. 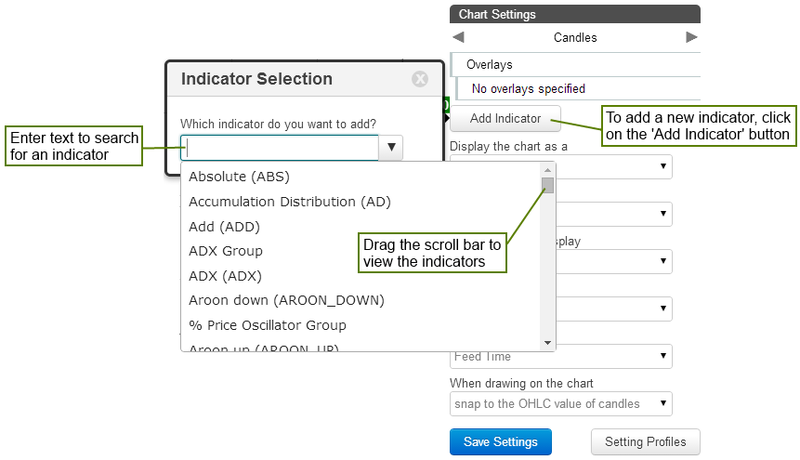 After adding the Chaikin Volatility indicator, within the chart settings, click on it to set the parameters and change colours.